Detection artist David Hedberj for a TV from other innovative features that displays the image as long as the viewer was smiling. Hedberj and wants of your TV which will be called "Smile T in" Smile TV viewer relationship that turns your TV, instead of smiling viewer response to what he sees on TV, the TV does not work so that the viewer sees a smile. It contains "Smile TV" which presents a series of video entertainment, such as wrestling matches, and videos of the animals, and films for the sport Alkonfo, a camera hidden behind the logo name. The objective of this camera is to monitor facial expressions viewer, smiling when the viewer displays TV content, and when changing facial expressions standing image. 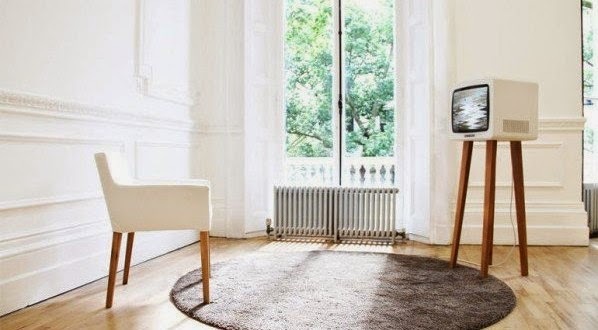 The Hedberj on his idea behind the TV saying, "has been associated with the use of the expression - bad reception - weak technical performance of the TV antenna." "We express our love for something we have become as an antenna for ourselves", as he put it. He Hedberj saying "The device that uses face recognition technology and a TV from the past decade to reconsider the issue of the involvement of the audience and how to access the content, it does not work only when the smile."